I would be sure to let myself know that I shouldn’t be so critical of everything I do. Not to put so much pressure on myself. To slow down, to not be in such a hurry to grow up and be a financial success. To stop and think through some of those decisions I made that have continued to affect my life. I’d try to be more carefree and less serious. AND I’d be sure to tell myself that I was not fat- that I was actually quite attractive. Never believed it- now I know. I was really a pretty cute little girl! 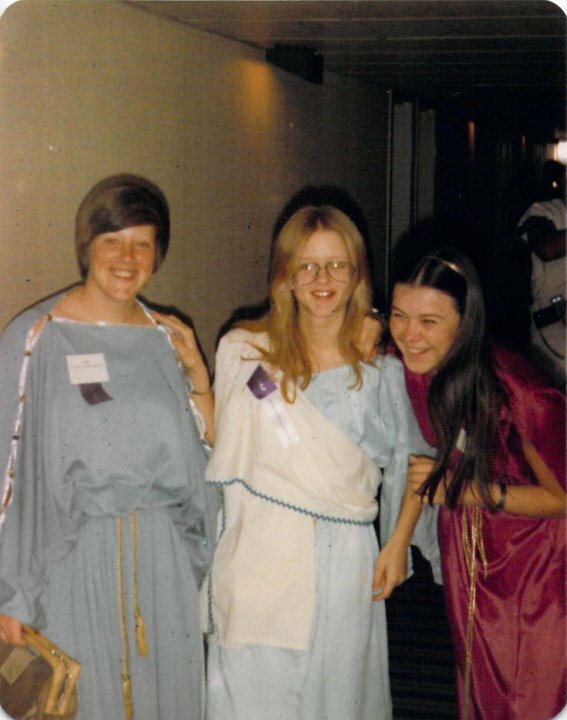 I’m the one on the right in the red toga in this picture. Good advice. Of course who you turned out to be is pretty darn good.